When Coach Ptaszek was presented with the offer to be the head coach at a program he had called home for over 10 years, there was no way he could refuse. Ptaszek’s name speaks volumes when it comes to Marauder football. So though many players and supporters were not too happy about the letting go of previous head coach Greg Knox, the arrival of Ptaszek quickly changed that. 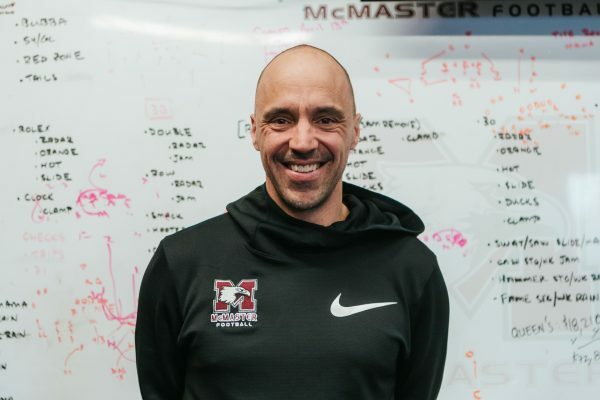 Being the only coach to lead the Marauders to a Vanier Cup championship in 2011, his reputation certainly precedes itself. Ptaszek also held the record for longest winning streak in U Sports (formerly known as Canadian Interuniversity Sport) history, 21 games, brought home three Yates Cups and was named the CIS Coach of the Year in 2012. For Ptaszek, his success can be linked back to his philosophy for leading a team: ‘Football Family’. Using his own experience as a university student-athlete as the blueprint, Ptaszek’s goal to ensure that those in the program see one another as a family is a part of what makes those under him do so well as a unit. Ensuring that a team has a family bond after such a controversial firing is a difficult task, but for Ptaszek, he finds that the incident has made the team more tight-knit than before. For Ptaszek, building on things that are in place means listening to the needs of the team first, by getting to know his new student-athletes. Working hard in the weight room and getting stronger in the winter, the Marauders who are one of few teams lucky enough to most likely be keeping a majority of their starters for the 2019 season, will not have to do a lot of rebuilding. With a small graduating senior class, the team is young with a bright future ahead. Though they have very few players leaving, this has not stopped Ptaszek from adding to the recruiting that was done before he arrived. With 23 commits so far, the 2019 recruiting class is shaping up to be a good one. As for goals for the 2019 season, reaching their full potential is all Ptaszek wants out of the Marauders. With the standard of excellence in Ontario set by the Western University Mustangs, he aims to close that gap. “This year we’re a bit better at every position, plus our great recruiting class that is coming in, so I think we will be able to achieve our goal of closing that gap of the provincial standard set by the Mustangs down the road,” said Ptaszek. 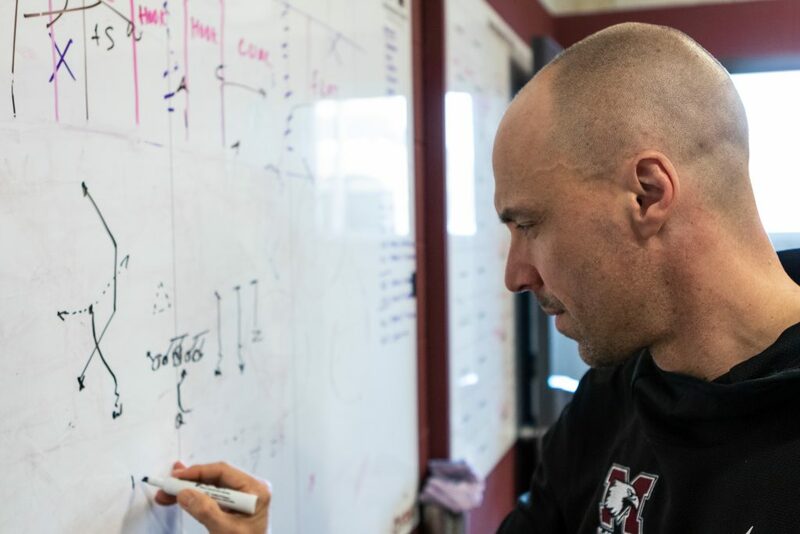 With weight training, quarterback play and recruiting well underway, the only thing missing is an offensive coordinator, after the departure of Tom Flaxman last week. Once that role is filled, hopefully, Ptaszek and the Marauders will be able to return to that level of excellence that Ptaszek is known for. Although we will have to wait for that first kick-off come August to find out. Sharing the same birthday but not the same salary as Houston Rockets' Chris Paul, Jessica spends most of her days not practicing her free throw. In addition to studying communications and media, Jessica dedicates the majority of her time to flag football and watching an endless amount of sports documentaries. Looking for her own Last Chance U pet project, Jessica is committed to covering sports beyond the box score and faceless stats.